Orthodontics refers to a specialty in dentistry that focuses on aligning improper bites and straightening crooked teeth to ensure healthy function and appearance. Orthodontics corrects irregularities of the teeth, bite, jaws, and related facial abnormalities to enhance oral health and facial appearance for both children and adults. In certain cases, when teeth and jaw issues interfere with the patient’s eating or speaking, orthodontics is considered as interceptive, preventing tooth wear and periodontal (gum) problems. In other cases, orthodontics is considered as restorative and cosmetic. Who treats patients for their orthodontic needs? An orthodontist or a dentist may treat patients with orthodontic needs, but an orthodontist has specialised training in this field (over 4000 hours of post –graduate training) significantly more than a dentist does. 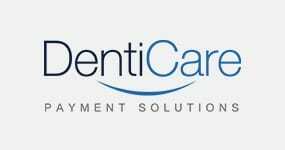 An orthodontist receives an additional three years of training after receiving a dental degree, and an orthodontist focuses entirely on treating patients for their orthodontic needs, and sees hundreds of patients a year, while a dentist handles all issues related to teeth and gum care, and may only treat a few cases of orthodontics each year. So, in addition to specialised training, an orthodontist will also gain more orthodontic experience more quickly than a dentist. First, we will look inside your mouth and examine your teeth, bite, jaw joints and jaw muscles. We will also take close-up photographs of your teeth and your face from the front (smile) and the side (bite –occlusion). Next, we will take x-rays of your teeth and gums. All of this information will be used to determine if you need orthodontic treatment and what kind of treatment plan would be most effective. What types of treatment methods are used? There are a number of treatment options available to orthodontists today. In addition to braces, which straighten teeth, there are a number of orthodontic appliances that modify and align the bite. With early intervention, a child is seen by an orthodontist at a young age to determine if the child’s jaw is growing properly. If it is not, the jaw can be guided by orthodontic treatment to become properly aligned or to be widened to allow enough space for all the adult teeth. This type of treatment, which modifies the jawbone, is referred to as orthopaedics and is typically performed on children. Sometimes this treatment can be quite effective with adults as well. 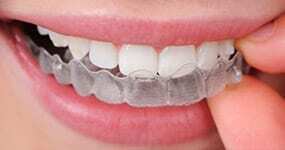 A variety of braces options: In addition to traditional metal braces, we also use ceramic (or clear) braces, and we regularly treat patients with the newer technology of Invisalign clear aligners, which have no brackets, wires, or elastic bands. For more information about Invisalign, click here. Orthodontic appliances: Sometimes braces alone cannot properly align a bite. In these situations, we have a number of orthodontic appliances that we use to encourage lower jaw growth, to open a deep bite, to widen the palate (arch), to create space for other teeth, to prevent lower molars from moving forward, and so on. 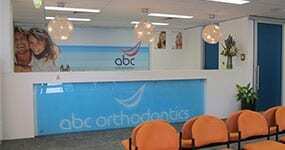 Call us at 1300 794 797 and let our team of experienced professionals talk with you about orthodontic treatment options. We’re confident that we can find a solution for you.